Just a heads-up. In case you can't install the new launcher and are using Bitdefender, you'll have to remove it to be able to patch anything. Disabling all protection does not make the launcher work, you literally have to uninstall it, and install again once the patch is done. I had a similar issue with other launchers, and that was the only fix. Now it's possible the same problem will happen again when there is anything to patch for the game. 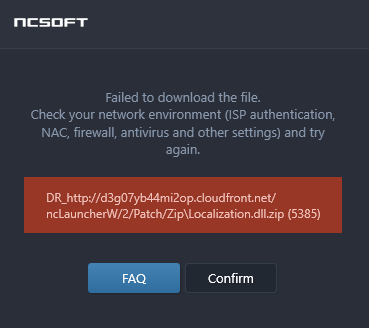 Unless NCsoft contacts bitdefender to address this issue. EDIT: No need to remove Bitdefender, read post below! Thank you for the information and we will let our team know. Managed to figure out some stuff after a live chat with Bitdefender support team. It appears the domain from which the patch files are downloaded is simply blocked by their "Online threat prevention". It is possible to bypass this by simply adding the domain to the "Exception" list. Luckily the launcher does say on what file it failed (unlike some other launchers...). There might be some other domains you have to add, especially once the game files get patched, so just do the same like with the first one. Note: you might need to start the Launcher as admin. I reinstalled the launcher just to confirm if this works, and yes, it does work (reinstalling with slow internet (╯°□°）╯︵ ┻━┻). I don't own that product so can't say for sure, but check if you added the right domain to the exception, it's possible that your error might be on a different file/domain than the one I wrote about. Also make sure the launcher itself is not blocked. Additionally, if your issue is about the "Localization.dll.zip" file, it is possible to manually download it, and place it inside your launchers installation folder (there should be a folder named "2" somewhere inside the installation directory, and inside it "Localization.dll.zip" with size of 0 Kb, just replace it with the manually downloaded one. But this will only fix the Launcher, as after that the game files will be patched too, and you'll get the same error, but with a different domain and different file, so you could try adding that one to exception and see if it works. Since the issue still wasn't addressed, for the patch just add " http://live.patcher.bladeandsoul.com " to the exception, and you can patch without problems. Does not work. I have made it and I still get similar notification problems with different ending of files. 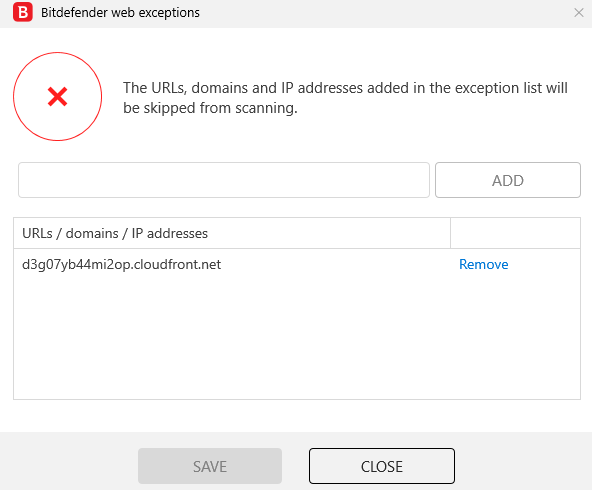 If you could provide a screenshot of the error and the way you configured your Bitdefender, I might be able to help.